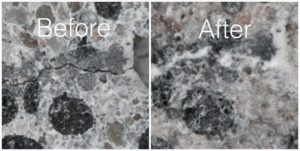 This may sound like something out of a sci-fi novel, but trust us when we tell you that self-healing concrete is not only a reality, it is expected to hit the market by this year. Concrete is the world’s most-used building material. However, cement production creates about 95 per cent of total carbon emissions. Furthermore, concrete needs constant and costly maintenance and repair for stress cracks and gaps. That will no longer be the case thanks to a new technology that utilises bacteria to create self-healing concrete. This technology is not only ready for use, but it can be mass produced, which means you could see it shaping our landscape very soon. 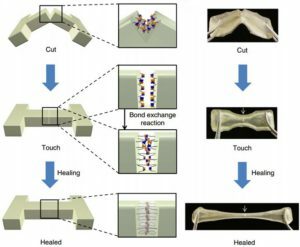 Researchers and scientists have been attempting to produce self-healing concrete for years. The great news is, this year, Dutch and Belgian scientists have broken new ground with living bacteria as an additive to the concrete, according to California-based Citizens General Insurance Brokers, a contractor insurance specialist. This method uses a strain of living bacterial organisms which can tolerate the high pH level of concrete. The bacteria lie dormant until a crack in the concrete exposes them to moisture in the air, which causes the spores to germinate and feed on the calcium lactate found in the cement. The bacteria then produce limestone which fills the cracks and allows the concrete to self-heal within weeks. Engineers said concrete that repairs itself could save maintenance costs, increase safety and help the environment. Meanwhile, there is a new eco-alternative to concrete, and it is made from 97 per cent recyclables such as foam, glass, paper and other recycled materials. Fly ash is a fine glass powder recovered from the gases of burning coal during the production of electricity. According to TSG Impex (India) Pvt Ltd, these micron-sized earth elements consist mainly of silica, alumina and iron. When mixed with lime and water, the fly ash forms a cementitious compound with properties similar to those of Portland cement. Due to this similarity, fly ash can be used to replace a portion of cement in the concrete. Fly ash is also known as coal ash or pulverised ash.